Public service of employment of the population – social services dealing with employment, unemployed and officially registered as such. If you are unemployed, you can also expect to get benefits and retraining, and participation in special programs to promote employment, and psychological support and social adaptation. To be admitted to the unemployed and you could count on social assistance from the state, you should be able-bodied citizen, not receiving any of the existing pension types. You should not be no work, including part-time or temporary employment, but you have to want to find her and be ready to begin performing work duties at any time. You are required to register in the territorial office of the employment Center and be there within 10-day period to get the first two areas to work. In the case when during this period a suitable job for you is not found, you receive the status of unemployed on the basis of those documents that were submitted by you during the initial request and its date. - insurance certificate of the Pension Fund. In that case, when you have never worked and only want to get once trained, you will need to show only the Russian passport and the document on education. When you are disabled, in addition to the above documents need to submit from the social welfare authorities work recommendation and medical report on the conditions and mode of work recommended, or specially designed programme of rehabilitation of disabled persons. Some people who are not recognized as disabled in official order, also may be restrictions on certain types of work for health reasons. Them if they want to exercise this right, you must also submit to the employment Center medical certificate confirming the existence of such restrictions. For registration and receipt of unemployment benefits, citizens, dismissed on grounds of redundancy should be to the employment Center within 2 weeks from the date of dismissal. If you before applying to the employment Center not worked for over a year, the salary report to submit is not required, but the benefit is you will be charged the minimum amount. It so happened that you got fired or you did not work at all, and the baby is already settled within you? If you do not want to look for a new job, you can register at the labour exchange. 2. High school diploma or certificate of graduation. 3. Employment history (if any). 4. Reference salary for the last 3 months. 5. Certificate of pension insurance. 7. Passbook, issued in the savings Bank. Immediately determine what to say about your situation inspector job exchanges, not necessarily. Put you on the account must in any case, if the term of your pregnancy less than 30 weeks. But to inform the employers or not - decide for yourself. Although the law prescribes no restrictions on the employment of pregnant women, HR staff prefer for any reason to deny to women in an interesting position. But if the fact of pregnancy to hide the reaction of the employer in consequence may not be the most optimistic. For registration to the labour exchange you need to bring all the necessary documents, a list of which is available from the staff of this organization. The inspector will ask you to write a statement and tell how many times a week and what hours you will need to come to the exchange to get a list of employers. Every month you will be paid unemployment benefits in the amount of 75 % of salary - 1, 2, 3 months, 60 % - 4, 5, 6, 7-and 45% in subsequent months. Note that the maximum allowance to 4 900 rubles. And what would be the salary was at your previous place of work, more than this amount you will not list. If you didn't work at all - the benefit will be minimal - 890 rubles. When the time is right to take a maternity leave (after 30 weeks), you will need to bring to the inspector of labour exchanges a certificate from the medical institution where you are registered on pregnancy. Hospital on the labor exchange are not paid, therefore, the monthly transfer for the term of the decree will cease. But to get a little money for child care is still possible. For this you will need, after your baby is born, will appeal to the regional Department of social protection, and, until the child reaches one and a half years, you will pay the allowance. And, most importantly, do not forget about yourself and the future baby. Try to find a job closer to home, agree on a partial employment. Then you will have time to walk in the fresh air, take care of your health, gain strength before the new, complex and challenging, but this long-awaited stage of your life. If the interval between the departure from one job and applying for another you do not stand on the account in the employment center, it will not be a violation. However, stay in the unemployed status entitles you to benefits and to other social benefits: free training for a new profession, money to start your business, the income statement for calculating subsidies for housing and communal services, etc. - the savings account for the calculation of unemployment benefits. 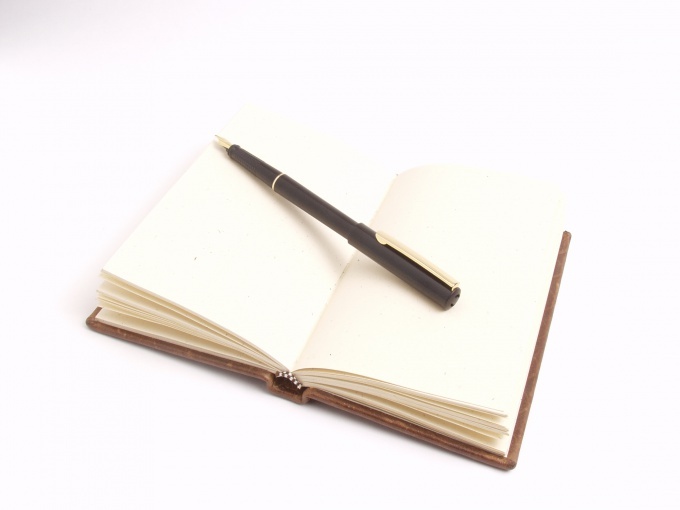 The first thing you will want to see in the centre of employment - your work book with the latest entry of dismissal. When calculating the amount of the benefit can be a value basis for the latter. Dismissed at his own request or for violations of labor discipline is charged only the minimum payment. Those who have lost their jobs due to downsizing or by agreement of the parties, can qualify for more. If you were an individual entrepreneur or founder of the company, bring a certificate of termination of activities of the individual entrepreneur or liquidation of the enterprise. You also need the document about education (diploma or certificate) and birth certificates of children. In the employment center, after reviewing your documents, will give you the form of the inquiry on the salary from the last job. If during the year you changed employers, this document will need from each of them. If you fired more than a year ago, help may not be required. The form you give to the accounting Department, then, having prepared the document, come to the employment center. Most likely, by this time you will be advised to open a savings account for the calculation of benefits. In some cases it can be done only in a limited number of branches of Sberbank, a list of which is provided in the employment center. When you bring to the employment center full package of documents, you will be asked to complete the questionnaire. Basically the questions concern personal data: name, address, passport details etc. Particularly noteworthy are the sections on requirements to work (here it is better not to be modest, since then on this basis will then be to decide which jobs are suitable for you, and a few refusals of suitable work is fraught with deprivation of the manual) and help center, which you expect to receive: a Handbook on unemployment, finding work, free education, grant, start his business, etc. Should specify only the ones that really count. Against free education it is better not to deceive ourselves: the number of places on such courses are limited, and the quality of learning can be not up to par. After registration you will be assigned the first day and time when you will have to report at the employment center. This should be treated with the utmost seriousness. Failure to appear at the appointed time without good cause (as a corroborative document is considered to be sick leave) the threatened deprivation of benefits. If you are sure that will quickly find a new job yourself, on the account in service of employment may not become. However, many services this organization can be useful. And to use them, you will need to obtain official unemployed status. It is necessary to provide the service of employment required documents. - proof of salary from your last job by form of employment center. The first document that people will want to see in the center of employment of the population - your employment history. The most recent entry should be dismissal. If the document indicates that you are working somewhere, you can only claim the status of a job seeker. It means that you need to report to the center for employment and go for interviews in his areas, but no other "carrots" for the unemployed (welfare, free education if desired and possible, a subsidy to start their own business) are not supposed to. Ex-entrepreneurs and founders of businesses must provide to the center of employment of the certificate of closure of SP or liquidation of the company. If they have a work book, you need to show her. For those who have employment records and there was not, it will be necessary to tell the workers of the center of employment. Such people require only document about the highest level of available education. Need to get those who work book there. When children need to provide birth certificates for each of them. After reviewing your documents, the staff of the centre of employment will give you the form of certificate of salary, which should fill in your last place of work. For those who are unfamiliar, it is not necessary. From official salary depends on the amount of the benefit. However, its maximum amount is small, any decent income reflected in the statements covers it with a vengeance. But those who were not working, former entrepreneurs, etc. will have to settle for the minimum allowance. When you will bring help about the salary, you will be asked to complete the questionnaire. Along with personal data it is necessary to specify their requirements for desired job and the services that you want to get from the centre of employment. By completing the questionnaire and the check, the staff of the center will assign you the first visit. Schedule a visit to the centre of employment should be strictly observed, otherwise will be deprived of benefits. In some regions, the best entrepreneur or founder, to launch their own business on the account in the employment center serves as the prerequisite for granting subsidies for the development of the business. The subsidy is the same at the start of their business the unemployed can be obtained only through the employment center. To stand on the account in service of employment is optional, but makes sense if the recruitment process threatens to drag on indefinitely. You need to go through this procedure if you want to receive from the state assistance, relying upon the official status of the unemployed (grant to start your business, free training for a new profession, etc.). - proof of salary from your last job by form of employment service. Contact office hours in the center of employment at the place of residence with all available documents: passport, labor card with the latest entry of dismissal and a document about education (diploma or certificate, a one indicating the highest level of education attained). After reviewing your documents, the staff of the center will give you the form of help with the last job on the payroll three months prior to the dismissal. A certificate is not required for those seeking work for the first time. If you have no employment record and other substitutive documents, there is enough passport and the document on education. With the acquired form, contact the accounting Department at the last place of work. There have to fill all required fields and sign the document with the signatures of Director and chief accountant of the organization and seal. The certificate on form W-2 for the center of employment is not necessary. Only document approved by the service employment form. With certificate and other documents come to the center of employment. You will be asked to complete the questionnaire. Specify their requirements for desired job: profession, position, schedule, level of wages, agreed to move to another area, etc. based On these data, the centre's staff will determine what are the available jobs for you. For the failure to work that you deem appropriate, sanctions are imposed. Think also about filling in the section on public services, which want to obtain from the city centre. Put a checkmark only next to those that actually want to use. Otherwise, in the absence of suitable proposals will impose all marked by you. After taking the questionnaire, you will be assigned a day and time for the first visit. The entire period of stay in the unemployed status you will have to visit the centre of employment on average 2 times a month. Absence is acceptable only for a valid reason, eg illness. The first turnout you will also need to bring the passbook, which will give you benefits. Depending on the situation to make it in any branch of the savings Bank or one recommended by the centre of employment. Take the branch where you open an account, its details. If you want to get unemployment benefits and other social privileges allowed under this status, or proof of income for the calculation of subsidies for payment of housing services, it will have to register with the center of employment. Order to be officially recognized unemployed, the employees of this organization should see the package of supporting documents. - birth certificates of children (if any). All the necessary documents you have, as a rule, available. The exception is the reference salary. A certificate on form W-2, you can issue the dismissal in this case is not necessary. It is best to contact the centre of employment with all available documents (especially the passport and labor card) and get there form, which is then attributed to the accounting Department and deliver the ready along with other documents. This certificate is not required, if you have never worked or fired more than a year ago. If the work book is not and was not, tell the workers of the center of employment. In this case, there is enough passport and diploma or certificate (depending on education level). After reviewing your documents and making sure that you have the right to register, employees of the center of employment will offer you to complete the questionnaire. It will pay special attention to the requirements of the desired job (occupation, job title, level of payment, and assistance that you would like to obtain. To specify, for example, a leadership position in the absence of relevant experience makes no sense. But overly shy is also not necessary for the rejection of jobs that you deem appropriate, may deny benefits. Among the services of the centre of employment provide only those that actually want to use. In the absence of suitable vacancies will begin to offer everything that you said. Upon completion of all formalities, you will be assigned the first day of attendance at the centre. You will also need to bring the passbook, which will go on to list your benefits. Depending on the situation it can be opened in the nearest office or one of the restricted list, which you will announce in the center of employment. Not to be the center of employment at the appointed time you can only in the presence of a hospital or a document confirming another good reason. Otherwise you will have problems until the removal of the allowance. In some regions in the provision of subsidies for the development of business among the requirements for applicants included a stay on the register as unemployed before registering as an entrepreneur or Agency of the company. To know this detail you can in your regional Agency for development of entrepreneurship. Through the centre you can also get a grant to start their business. Small and medium businesses in recent years, has not the easy times. I feel it is not only the leaders of organizations and employees, which sometimes they are forced to reduce. In such a situation it is important not to lose heart, and in between finding a new job or retraining to get to stand on the account in the employment center. Contact city employment center within two weeks from the date of reduction. Compliance with this paragraph is necessary, because the former employer pays its ex-employee "penalty" equal to the salary for three months from the date of dismissal. Last, the third payout is based on the certificate of center of employment, that the employee stood there on the account. If he didn't get there in time to do it, then the payment will not receive. Provide information on wages from previous jobs. You can take the form in the employment center and take it to the accountant to fill. Bring all available documents on education. Diplomas and certificates can be provided without inserts. If the education you received is not in Russia, the diploma must be translated into Russian language and notarize the translation. Attach a passport, INN, pension insurance certificate. After statement on the accountwithin 5 days, get a savings account. There are a number of common mistakes when completing the certificate of wages paid. First, in the corner of the form must be stamped containing tin and legal address of the company where you worked. Secondly, in the column "Number of working weeks," the maximum number that can stand is 52 (i.e. number of weeks over the past year). Some accountant write there the total number, starting from the first day of the employee. And if his seniority in the organization more than a year, and the figure, respectively, increased significantly, which is unacceptable. Third, the certificate must be signed by the Director General and the accountant. If it's the same person, before decoding the signature of one of them have to be PostScript "acting" (acting). Reduction can affect anyone. Even the most stable preacceptance sometimes through crises and are forced to reduce the number of employees. 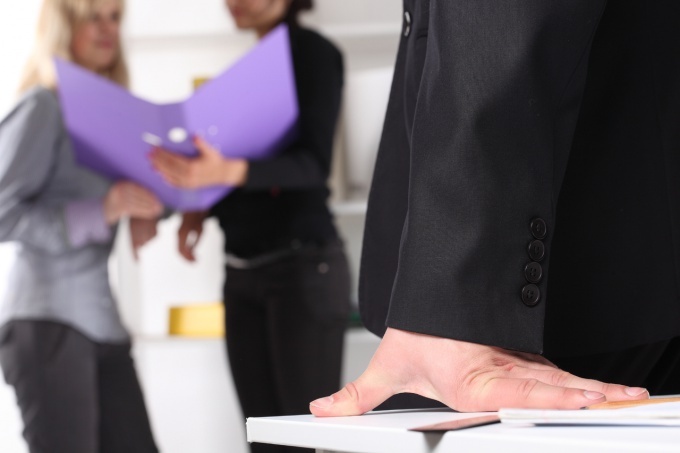 In this case, the dismissed person may apply to the exchange of labor. They'd help him find work in the profession or sent for retraining. - proof of salary for the last three months. Before you apply to the exchange of work, prepare a package of documents. Salary will receive in case of dismissal the employee calving personnel. Let him know for what purpose you need this information. For labour exchanges need help on the average wage (payroll) to determine the size of unemployment benefits and scholarships. Such inspector may require for employment. Refer to the stock exchange within two weeks after dismissal. 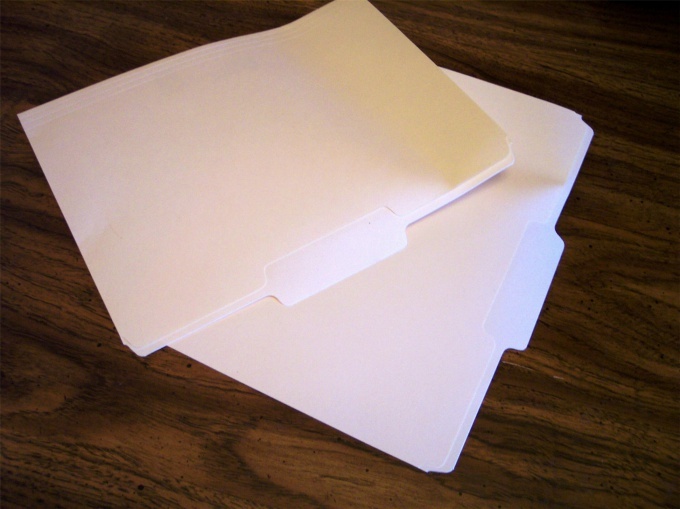 Fold the passport, a certificate of salary and employment history into a separate folder, and go to the reception. You better come to the opening, so it will be more likely to get to the inspector first. 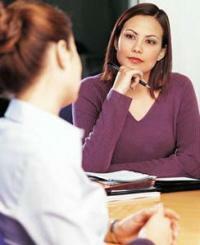 The employee of the employment service will be asked to write a statement about the recognition of you unemployed. It, along with the documents remains pending at the labor exchange within ten working days. In the case of a positive decision will be an appointment with the inspector in charge of citizens in need of employment. The inspector will propose a number of vacancies on a speciality. They will all be listed in a bypass list, along with the telephone numbers and addresses of companies needing staff. Call the organization and make an appointment. In two weeks I have to visit all addresses from the list. Then go on reception to the inspector of labour exchanges. If all companies with employment was denied, the inspector will issue a new list. If some of the interviews went well, the register at the labor exchange, you will be removed. If the profession is not popular, and there are no suitable vacancies, go retrain and get a new one. In the direction of the exchange can receive a specialty, popular in the labor market. The amount of monthly payments to the unemployed in the first three months is 100 percent of salary, but no more 4900 roubles. Minimum payout is 850 rubles. In the fourth, fifth, sixth months, transferred 75 percent of the salary or the maximum amount of 4900 rubles. After six months of registration, pay 60 percent of the former amount, 9 months - 40%, 11 months - 30 percent. If during the year the unemployed were not employed, it is removed from the register. Re-register on the stock exchange through the month. No one is immune from unemployment. Someone got laid, the other could not withstand heavy load and went to work on their own. People often become for the exchange of labour is not the purpose of job search and waiting for a suitable offer, and in order to obtain social benefits for several months. 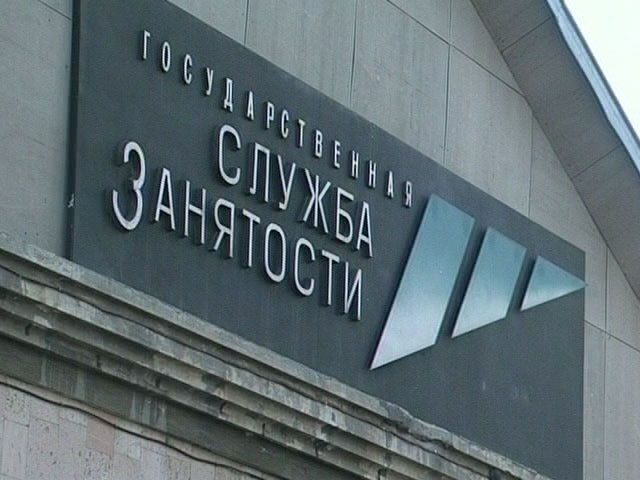 During the crisis many people were laid off, and those who remained had to work at a furious pace and to perform the duties of several employees. Working at this pace for a few months, people do not stand up and leave in order to be on the exchange of labour and rest at least a month. In order to be on the account of the exchange of labor St. Petersburg, you need to get laid off or quit your job. For the first 14 days from the date of dismissal to come to the employment center at the place of residence. One should bring the following documents: employment record book, passport, diploma, certificate of paid wages for 3 months. In addition, you will be given a package of documents that must be filled in legible handwriting as on the basis of your data, the exchange will be assisted in job search. Those who have never worked, for example, students can also register. It is sufficient to have a certificate of education and passport. After the documents were submitted, after 10 days should visit the exchange of labourto consider jobs that will be provided by experts exchange. If you unreasonably refuse the offer of vacancies, you will be removed from the register and the work will have to look for yourself. In addition, there is a special training program for the unemployed, special seminars are held approximately 2-3 times per month. A visit is a must, otherwise again can retire. If for any reason you are still removed from the register, you'll have to wait a month to re-filing. For those who want to change specialty or to improve their skills, there are special training courses. Missing classes is prohibited, as in this case, can deprive of the status of unemployed. Each unemployed person can apply for public works that do not require special training and additional training. For such work people are gaining different enterprises any form of ownership. It's not necessarily the cleaning of the territory, public works can assume the typing on the computer or handing out leaflets to passers-by. For those wishing to open a business, the government allocates special assistance or a loan. The amount is small, but to start a small business from scratch it is a starting point. If you do not have a complete set of documents, the labor exchange has the full right to deny assistance. Labor exchange is a special information rooms, where anyone can view existing jobs with the help of automated help systems. The recognition of a person unemployed suggests a number of benefits – professional assistance with employment, benefits, opportunity to retrain or start their own business. To get access to all this, you need to contact the employment Center. the income statement for the last three months. Before you go for your appointment, call the district office of the employment Center at the place of residence. Residence address of professionals not interested – even if you live in another district to come to the consultation, have the place of registration. Phone precise opening hours and find out when is the best time to come to take a turn at the first visit. Do not delay your visit to the exchange is entitled to maximum benefits, you retain only one year after the dismissal. Gather the necessary documents. You will need your passport, employment history, diploma of education and certificate of the average wage in the last three months. Help is in the accounting Department of your company, and in a certain form. For form help refer to the employment Center, or download the necessary form online at the request. If you can't provide proof of income through no fault of your reasons, you can do without it. You will not give up in registration, however, unemployment benefits will be minimal. If you are working for the last year or do not have a job, proof you do not need. 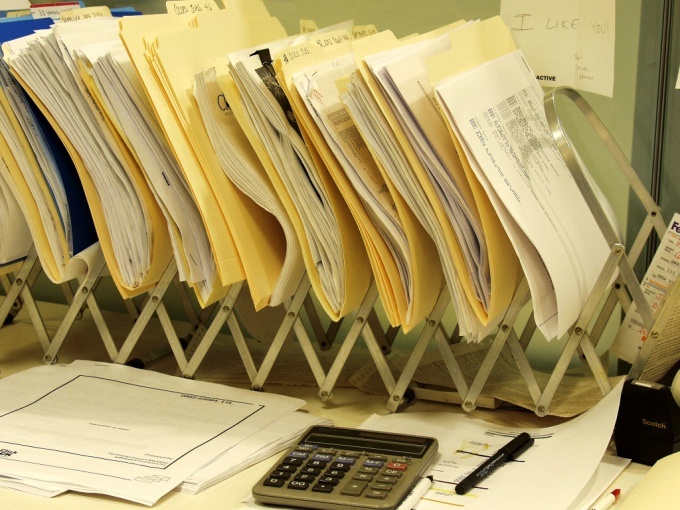 With a full package of documents come to the district employment Center, it is best to finding it. Process initial intake and registration of documents is quite long. Waiting for their turn, submit to the employee documents. It will check their contents and calculate the numbers marked in your income statement. If some points are in doubt, you may be asked to redo it and come to the reception again. If all the documents are prepared correctly, the employee will fill the statement for statement on the account and will set a date for secondary admission. You will be told the name and number of a specialist Centre, which will work with you and will offer at least two suitable vacancies. If you have never worked, are all suitable positions that match your education level. Before the next you should take one of the offered vacancies or to bring a written waiver from a potential employer (it should be done in the direction of the Center, which is given to you). Don't be late for a meeting with a specialist Centre. Absence is a serious violation and you may be denied registration. He came to the reception, please present your passport, work book, a referral (if it was given to you). You will assign the official status of unemployed and will offer to issue a passbook or a plastic card, which will accrue unemployment benefits. During the year, your status will be maintained subject to timely appear for consultation and compliance with the employment Center. If during the year you will not be able to find a job, your unemployment status may be extended. Pregnancy is the perfect state for any woman. 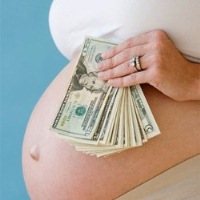 But often nowadays, especially in crisis, pregnant women are most vulnerable in terms of relations with employers. If a pregnant woman is officially arranged, she doesn't need to worry, the law is on her side. It does not have the right to dismiss, to send on business, to force overtime. In addition, in this case based on the benefits and paid leave to care for a child. And they can count on the Ambassador? - certificate of employment on the average wage. 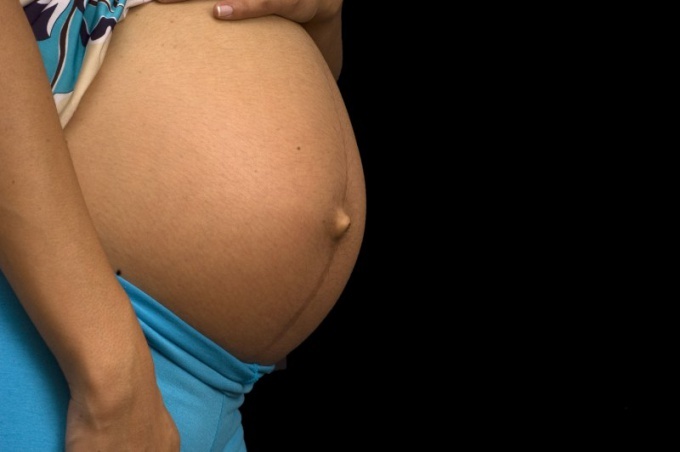 Often employers deny employment to pregnant women, under various pretexts. Nobody wants to mess with the extra decorations papers and other references. In this regard, the woman in the position to find a job very difficult. To help in this case, the government comes. In the center of employment of the population do not have the right to refuse registration of, referring to the pregnancy. For registration, grant to the center of employment documents. If the date of your dismissal has not passed 6 months you for the calculation of benefits will need the certificate of the average wage from the employer. It is composed on the letterhead of the Centre of employment. Check the correctness of the reference your employer: must be signed by the Director and chief accountant of the organization (in the absence of the accountant the signature the head marked O. I. ); in the upper right corner should be written the details of the organization (VAT number, legal address etc.). In the case of providing the help that your benefit will be in the first 3 months - 75% next 4 months - 60% of the average wage. If you never worked, you will be assigned the minimum amount of benefits in 2011, she is 850 rubles without taking into account regional factors. After registering as unemployed, in the future after the baby is born, you will be able to receive the allowance for child care up to six years. Unfortunately it will be assigned in a minimum amount. The benefit is you will begin to pay from the birth of the child. To get the benefits you need to contact the social security authorities, you will need to provide proof of service of employment about your status as unemployed. You also have the right to receive a Lump social benefit to women embarked on the records in medical institutions in early terms of pregnancy and a lump sum child birth, if this right will not be implemented by the child's father. Unemployed pregnant women get unemployment benefit only up to 30 weeks of pregnancy. Then register for unemployment off or make a break based on sick leave due to maternity leave. Unemployed pregnant women are not paid maternity leave of 140 days in contrast to working women. Employment office - officially, the center of employment, public service, helping unemployed people to find work, re-train, etc. According to the Constitution, every citizen has the right to work. So if you're unemployed, don't despair - contact the employment center. - personal account in the savings Bank. First, go to the Center of employment of the population to obtain specialist advice on the provision of documents. Take the form of the inquiry on an average salary, with data on earnings must be completed on the form provided by CZN. Apply in person to the center of employment with a package of necessary documents. The technician will review them for compliance, will decide on the assignment of unemployed status or refusal. In the case of recognition you are unemployed you will be given a written notice explaining the process of selection of vacancies, assigned a unique number. The unemployment benefit is calculated under the condition that on last place of work experience is more than 26 weeks. The maximum allowance from January 01, 2009 - 4900 roubles without taking into account the regional coefficient. If you do not work for more than a year or did not work at all, you will receive a minimum allowance of 850 rubles without taking into account the regional coefficient. After registration you are required 2 times a month to report to CZN. 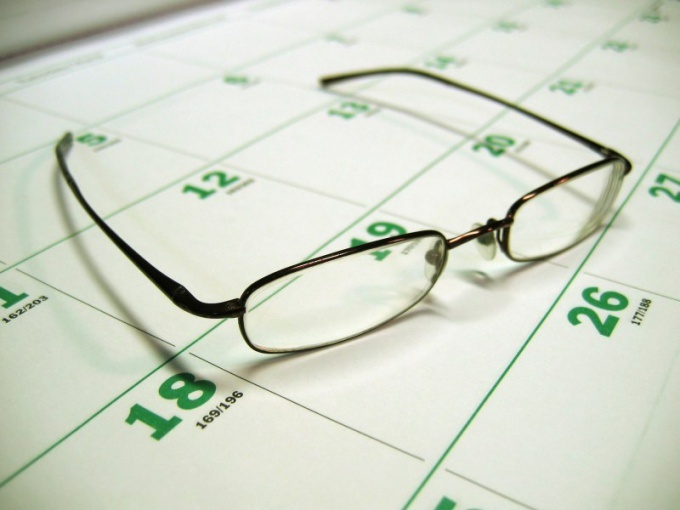 Days of attendance you will be assigned to you appoint a specialist. On the job you choose, and will need to beat the employers with a form where you will have to make a mark, there is a vacancy in your organization or not. Their wishes for their future careers and jobs you can explain the statement about her search. If you 2 times will refuse to offer you a suitable for your skill level jobs, you may be removed from the register as unemployed. After registration you can try to open a business with CZN. You will need to provide and protect before the Commission a business plan for your future. If the defense is successful, you will be given a grant for opening a small business, but in this case, the status of unemployed, you'll be charged. If you cut, hurry up with the registration in the employment center. You need to register within 14 days. If you have temporary registration, you can register with the employment Bureau, but in this case you will not be eligible for unemployment benefits. As to the unemployed, and those who simply want to change place of employment, can help check on the exchange of labor. It is in all the cities, including in St. Petersburg. How to get there on the account? Collect the documents required for the registration in the employment Center. If you are looking for your first job or at the time of treatment already employed, you will be enough passport and proof of education certificate of graduation, diploma of secondary special or higher education institution. For those who worked previously, but were for various reasons dismissed, you will need a work book with a mark about departure from work and a salary certificate for the last place of employment. It should reflect your income at least for three months. If you have a disability, you will need a note from a doctor about what activities are acceptable for you and which aren't. Get the address for the employment center at your place of residence. This can be done via the website http://rspb.ru. From the home page go to the section of the employment service, and then in the list of institutions subordinated to the government of St. Petersburg. In the list you will see links to employment services areas of the city in their addresses, phone numbers and hours of operation. Contact the selected service during working hours. Contact the person and give him the documents. Write a statement of registration as a job seeker or as unemployed. After reviewing your application, you will receive the opportunity to receive assistance in job search, and when you recognition the unemployed and allowance at the time of seeking a new position. The unemployed must be monthly in the employment service to undergo re-registration. In the event of failure of this condition it can be removed from the register and, as a consequence, be deprived of the benefit. Therefore, when meeting with a specialist labour exchanges should specify the terms and conditions of re-registration in advance. The dismissal, whatever its cause, always an unpleasant process that has its own consequences. And sometimes they are such that you have to go to the employment center for statement on the account and receive the corresponding benefits. Prepare for the coming dismissal. According to the law of dismissal for downsizing you must notify in advance. Knowing about this news, please contact the employment center and take a sample of income that you have to provide at statement on the account. The fact that it has a slightly different form than commonly used form W-2 with which it is often confused in accounting. To avoid loss of time should do this in advance. Ask the accountant to reflect a salary for the last year your collaboration with this organization. Count the year exactly from the date of dismissal. Go to the employment centre no later than fourteen days after the dismissal. This is the time period given to citizens for statement on the account in the employment center, if they don't want to lose money. If you have registered within two weeks after dismissal, you will receive full salary from the former employer, charging him with a certificate of absence of work for three months (the maximum term). The fourth month you will begin to receive benefits from the state. If the check occurred later, the first three months you will not get any money. If you are fired with a different wording, not to reduce staff, to delay the trip to the employment service is not worth it. After all, you have the right to receive benefits from the first day of registration as unemployed. Come to a prearranged meeting to the job center twice a month. 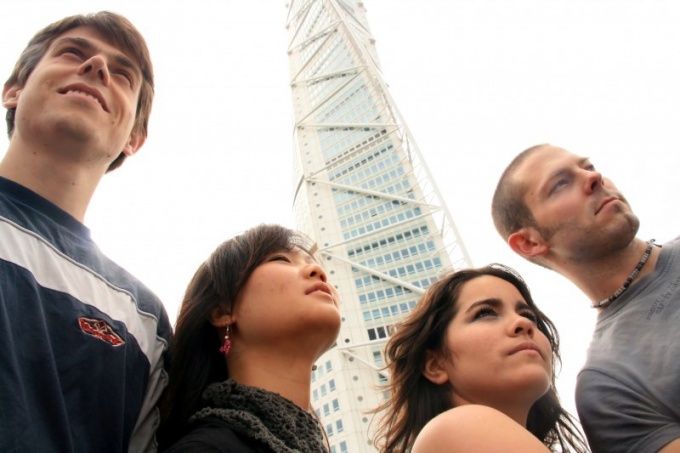 During these meetings you can offer a position that matches your education and experience. In this case, you are obliged within three working days to go to the interview. Remember that the rejection of the two proposed places of employment shall result in the termination of benefit payments. If in the last year before applying to the job center you didn't have a job, you will require a passport and a diploma of education. Receiving benefits, and not look for extraneous earnings. In this case, you will have to return to the state all money paid to you (if not voluntarily, then by court order). 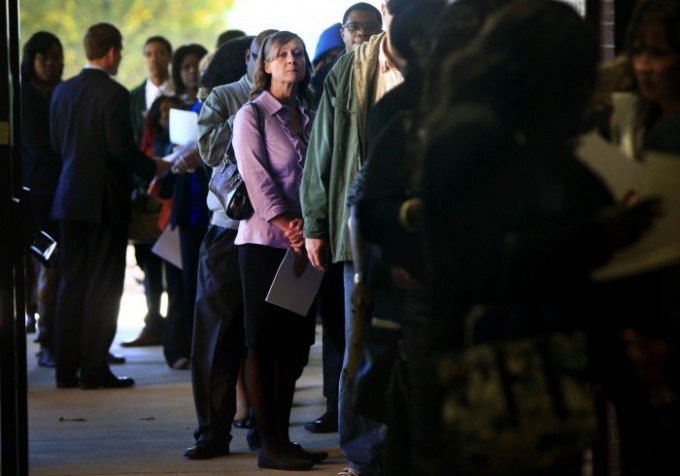 The employment problem is many of today's unemployed people. Labour exchanges to help address this issue. Unfortunately, not everyone knows how to register in the employment center and what to bring. In each district of Nizhny Novgorod city employment. Contact the exchange to a place of residence. For registration dismissed/reduced citizen must have a passport, work book, certificate of education, reference from last place of work the average wage for the last 3 months and provide the account number for the calculation of benefits. If you have never worked then you need to take your passport, education certificate and the account number. If you have a disability, you need to bring along with other documents and wheelchairs rehab program. 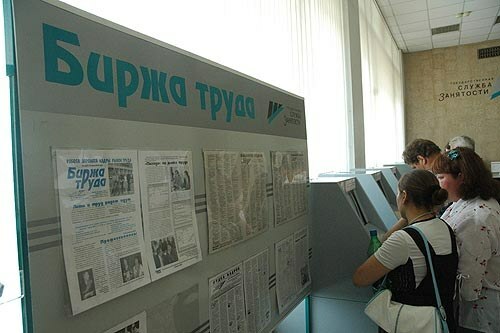 Come to the employment center with the documents, write a statement about statement on the account on unemployment. Further action will tell you on the exchange. At the labor exchange can give you a job to registration. Within 3 working days you will need to arrive where you sent. In case of your cancellation the employment center has the right not to accept you. There is a difference in that you not refused the job offered, and you refused the head of the enterprise, because you have no knowledge, and skills needed him. If you are in such a case was offered a job, not buy a degree, you can not challenge the statement you on account of unemployment in the regional or Federal office of the employment service or court. Dismissal often occurs unplanned for the employee to find new work and receiving unemployment benefits citizens of the Russian Federation can register at the labour exchange. 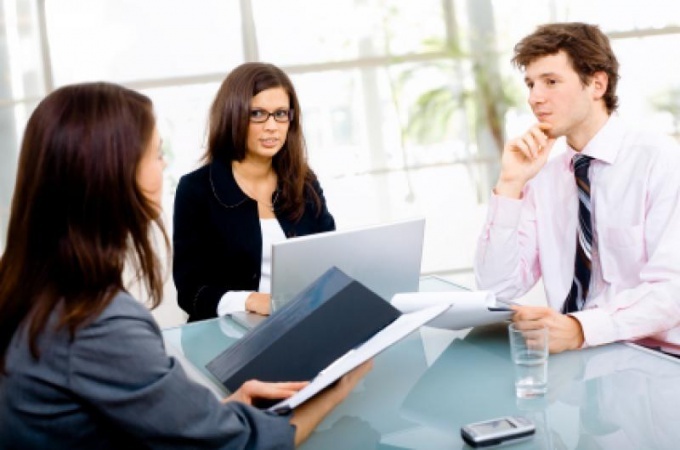 Before visiting the Department of the employment center should gather the necessary documents. The statement-the questionnaire. To obtain the form is available on the job market and fill it before submitting the documents. Applicants to the exchange, fills out an application my own fair hand, it specifies all required information, put the date and signature. Passport or identity document. If the document identity is not a nationality, you must bring the certificate of citizenship. For foreign citizens will need a passport or certificate of identity and nationality, and residence permit, only with him foreigners can expect to pay benefits. In that case, if the documents are written in a foreign language must be certified by a notary their translation into Russian language. Labor book or labor contract, the contract from the last job. These documents do not need to bring to individuals who are looking for work. Diploma, certificate of completed courses and other documents, which show professional skills. The certificate on form 2-NDFL for last 3 months of work on last place. This certificate shows what the wages were received by the citizen, this amounts to a calculation of unemployment benefits. Usually such a statement is issued immediately at dismissal, but if not, you will have to order it in advance from the accountant or HR Department. To submit a certificate should be only in case if the date of dismissal has not passed year. Savings book for the calculation of benefits and pension certificate. Disabled in addition to these documents serves a rehabilitation program. Military or police, dismissed from service – military ID, and an extract from the order of dismissal. When an organization the founders need to bring the documents on liquidation of the company, or documents on withdrawal from the founders. All these documents should be requested by the Federal tax service. Workers entrepreneurs who have not made the work book, should be required from employers an employment contract with a mark about payment of insurance premiums. Students part-time and correspondence forms of training should be placed in the school a certificate of studies. New information is provided to the employment service twice a year: in February and September. Internally displaced persons can not do without a certificate on involuntary resettlement, as well as without a certificate of registration by place of stay. You should make copies of all documents, the originals of which are not brought to the labor exchange. If together with copies you can take the originals, to assure them is not necessary. But if the original document to take to the labour exchange is impossible, the copies have to be notarized. 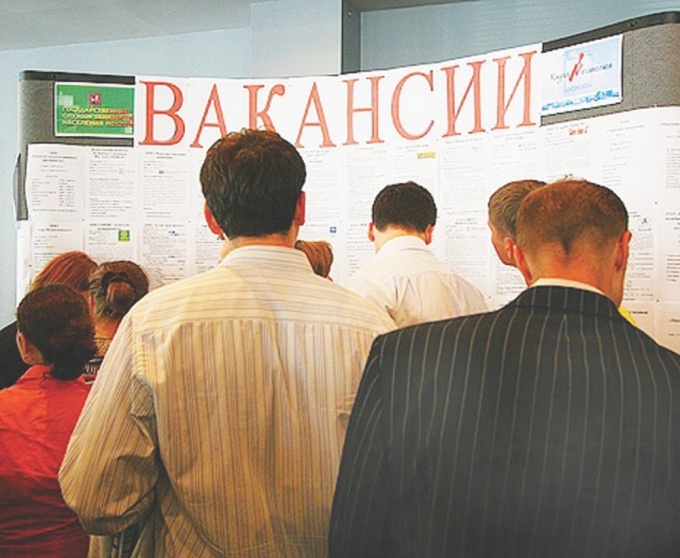 Labour exchanges recognized unemployed citizens who are unemployed but are employable. For registration with the employment service is required to provide certain documents. To register as unemployed at the employment center, you need to provide certain documents. 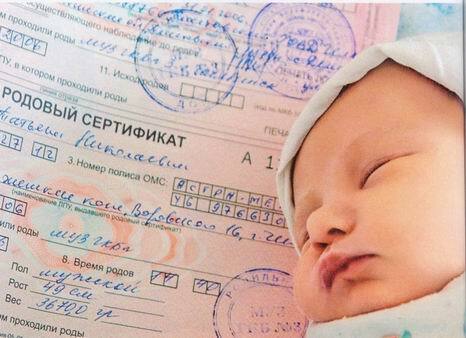 The passport of the citizen of the Russian Federation is submitted in the first place if he is absent, its substitute. The original or duplicate of a work book, document about education or professional qualification is also required. Income statement for the three months prior to the dismissal from the last job will need to take after receiving a special form for employment exchange. Required birth certificates to children who are less than 18 years of age. Still need a certificate on the INN assignment, the certificate on statement on the account in the pension Fund, men – military card, if they are dismissed from the interior Ministry or the Ministry of defense provide an extract from the order of dismissal from service. Former entrepreneurs represent a document from FNS to liquidate their organizations, or documents showing the output of the co-founders. If the place of work was the organization of private entrepreneurs, unincorporated business, it is an employment contract in original, where it should be noted that the insurance contributions paid. If unemployed, student or external party, in September and February, the updates help with the study. Unemployed can not be recognized by all citizens, not subject to registration at the labour exchange for young people under 16 years of age, persons receiving a retirement pension or at a reduced grid for harm. If a person from the moment of registration at the labor exchange during the 10 days I had to abandon 2 of the options work, it appropriate, even if it is temporary work, registration with the unemployment going to turn him down. The rejection of 2 proposals profilepicture will also serve as the reason for refusal in registration of the unemployed. False information is forbidden to provide, and shall come to the stock exchange that its employees could find work. Absence of, as inaccurate information will cause denial of registration. Suitable work is the one that corresponds to the level of professionalism, the last place of work, accessibility and health. Twice the same work or retraining are not available. A year later, since the recognition of suitable unemployed is considered any work, including a cleaner or janitor for a person with higher education, in connection with a large break. The rejection of the two vacancies on the letters of recommendation for six months entails the deprivation of benefits for a month. The maximum benefit today 4 900 rubles. Unemployed citizen's duty at the appointed time to visit an employment center, not actively seeking work in their spare time, within three days after receiving the letter needs to come to the potential employer for negotiations on the proposed jobs.